A celebration of Lillian’s life will be held on Thursday, January 31, 2019 at 10:30 a.m. at Living Light Christian Church, 6102 39th Avenue. Entombment will follow the service at Sunset Ridge Memorial Park. A visitation for Lillian will be held at Living Light Christian Church, 6102 39th Avenue beginning at 9:30 a.m. and will immediately be followed by the celebration of life service. Lillian May Yeager went to be with Our Lord and Savior Jesus Christ on January 24, 2019. She was eager and waiting to go home. She was born on June 24, 1934 in Philadelphia, PA to the late Frank and Rose (House) Picolo. Lillian married William Yeager, and they became a blessed blended family. As a young girl, Lillian began working to help raise money to provide and care for her younger siblings. 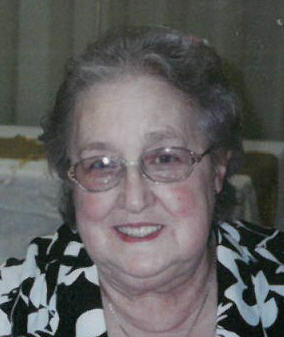 She had worked at many jobs and finally retired early from Quaker Industries, due to health issues. Lillian had a strong desire to help others. She loved her family and selflessly gave in many ways to come to the aid of her family and friends. In her younger years, she enjoyed hosting family for the holidays and knew exactly how to bring everyone together. She was a faithful member of Living Light Christian Church and enjoyed participating in fundraising events, giving gifts, loving on those who needed a friend, and making people laugh. Lillian had a special place in her heart for pets and she enjoyed playing bingo, solving crossword puzzles, coloring and going out to eat with family and friends. Lillian is survived by her daughter, Jackie (Ron) Fischer of Kenosha; her step-son, Larry (Barb) Yeager of MI; her step-son in law, Don Lotez of AL; her brothers, John (Linda) Picolo and Robert (Mary) Picolo, both of Kenosha; and her sister, Connie Picolo. She was blessed to have loved 11 grandchildren; 22 great grandchildren; 15 great-great grandchildren; and many nieces and nephews. In addition to her parents and husband, she was preceded in death by her daughters, Becky McIntrye and Linda Lotez; and her sisters, Dolores Wieczorek and Josephine Slye.